I used Gephi to create a visualization of my Facebook network. I used the Lost Circles plugin for Google Chrome to download my data from Facebook. I loaded the network into Gephi, then ran the network diameter, modularity, connected components, and average path length statistics. The nodes are sized by betweenness centrality and the color coding is by modularity class. I chose the Fruchterman Reingold layout algorithm for displaying my Facebook network because I thought it best showed the relationships between the nodes. The largest node near the center of the visualization is my husband (Craig). 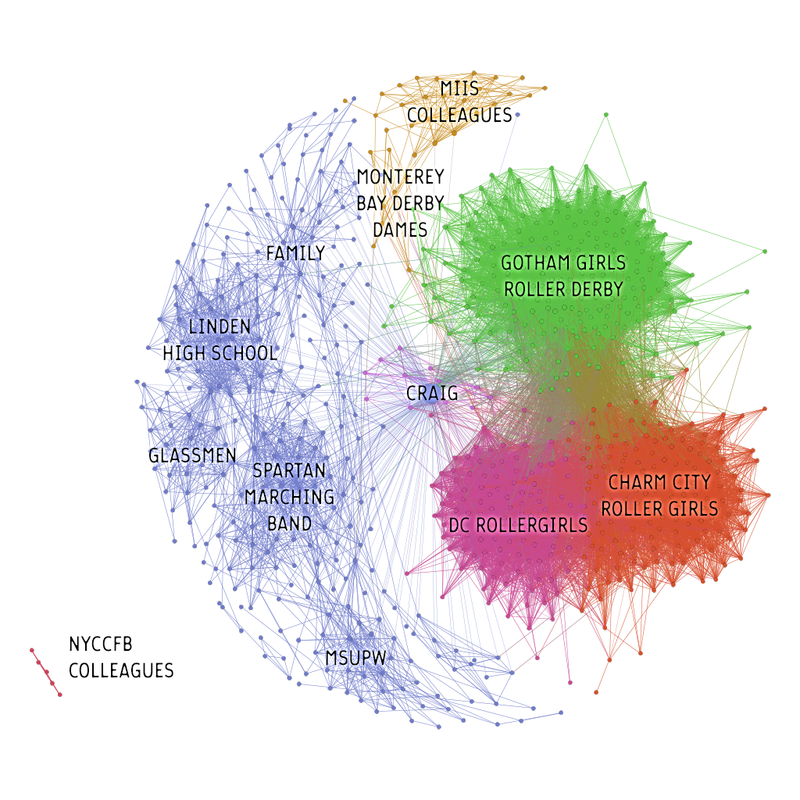 To better visualize my Facebook network, my final graphic shows Craig’s node and the large clusters labeled.